Crepes with Strawberry and Raspberry Sauce - Let the Baking Begin! These Crepes with Strawberry and Raspberry Sauce are super easy to make and beautiful to serve. The sauce is bright, fresh and delicious. You’ll want to serve it over everything (think ice cream, pancakes, waffles, etc.). Check out my hack for easy mixing of crepe batter 😉 You’re welcome! Last Sunday we went out with my family for lunch after church and the little place that had a really unimpressive menu, had really impressive crepes. That inspired me to come home and make some homemade crepes with this glorious Strawberry and Raspberry sauce. I added a little bit of baking soda to the crepe batter which gave the crapes a lacy appearance. I also changed things up by adding hot milk to the batter, this made the batter easier to cook since it didn’t rip, and changed the texture of the crepes a bit in a very good way. For the sauce I used SPLENDA® Brand sweetener in place of regular sugar, you know, just to lower the calorie count and no one even noticed the change! Of course, crepes are not the only thing you can use this sauce with, as it would go pretty well with french toast, or even spread on a piece of bread, but definitely try this combination. Combine the 2 cups strawberries, 1/3 – 1/2 cup SPLENDA® Sugar Blend OR 3/4 cup – 1 cup sugar, and 1/2 cup of water and 1/4 cups corn starch in a saucepan and cook over medium heat. Cook for about a minute or two past boiling point, stirring often, then add the raspberries and just heat them through for another 30 seconds to 1 minute. Adding the raspberries at the end will allow to keep their shape a little better. Remove from heat and allow to cool. Add 2 eggs to the blender, cover with lid and start whizzing. Now open the little opening in the lid and pour in 1.5 cups hot whole milk as the blender is still going. 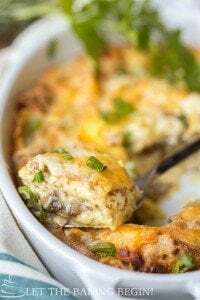 Stop the blender and add 1 cup flour, 1/2 teaspoon baking soda, 1/2 tablespoon SPLENDA® Sugar Blend, 1/2 teaspoon salt and 1 tablespoons of oil, cover with lid and whiz until the mixture is smooth. The batter is ready to be used, but can be stored in the fridge for up to 2 days. To make the crepes, heat a crepe skillet, or a non stick skillet, or a stainless steel skillet through over medium heat. Take a paper towel, scrunch it up, dip it in oil, then brush all over the inside of the skillet being careful not to burn your fingers. For a 9 inch skillet you will need about 1/4 cup batter. Pour the batter into the skillet and rotate the skillet to cover the bottom with crepe batter. Cover with the lid quickly and cook for about 30-60 seconds, the steam will speed up the cooking of the top side. When the edges are somewhat golden, slip a spatula underneath and transfer to plate. Cook the rest of the crepes with the remaining batter. 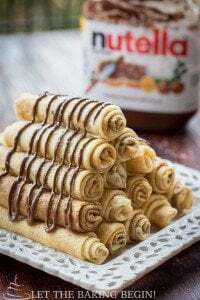 Nutella Crepes – Simple crepes recipe with Nutella filling. 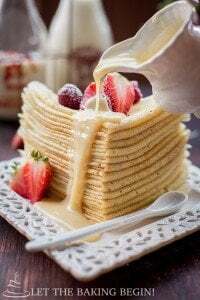 Russian Yeast Blini Recipe – A classic Russian crepe recipe. Farmer’s Cheese Crepes – Crepes filled with a sweet farmer’s cheese, topped with blueberry sauce. Combine the 2 cups strawberries, 1/3 - 1/2 cup SPLENDA® Sugar Blend OR 3/4 cup - 1 cup sugar, and 1/2 cup of water and 1/4 cups corn starch in a saucepan and cook over medium heat. To make the crepes, heat a crepe skillet, or a non stick skillet, or a stainless steel skillet through over medium heat. Take a paper towel, scrunch it up, dip it in oil, then brush all over the inside of the skillet being careful not to burn your fingers. For a 9 inch skillet you will need about 1/4 cup batter. Pour the batter into the skillet and rotate the skillet to cover the bottom with crepe batter. Cover with the lid quickly and cook for about 30-60 seconds, the steam will speed up the cooking of the top side. When the edges are somewhat golden, slip a spatula underneath and transfer to plate. Cook the rest of the crepes with the remaining batter. Crepes can be made a day ahead and left covered at room temperature. It would be best to brush between each crepe with some butter as you cook and stack them, so it's easier to separate them, if you're not eating them right away. The sauce can be made several days ahead and stored covered in refrigerator. Choux Pastry Buttermilk Crepes - Let the Baking Begin! Your recipe says 2 cups of milk, but you then say to put only 1.5 cups milk into the blender. Where is the other 1/2 cup of milk ? Just a question. Oh and BTW: do you happen to live in SE Portland ? I might know the little crepe cafe you refer to, but haven’t yet tried ???? !! I happen to live in “Boring” !! though I consider myself anything BUT boring !! Sorry, you’re supposed to add 1.5 cups at first and then once the flour has been mixed in, you add the remaining 1/2 cup milk. The one I was referring to was Pig ‘N Pancake, is that the one you were thinking of? I have relatives that live in Boring and I love that it’s just outside the city, but close enough to all the hustle and bustle of the city. These look absolutely glorious, Marina! 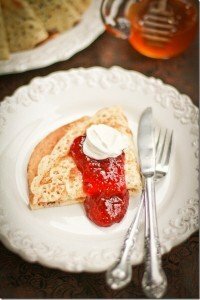 I love crepes and strawberry sauce looks divine, even better with less sugar! Wow, Marinochka! You’ve got some incredible photography skills! Thank you for the recipe! Thank you so much Tanyusha for your wonderful comment! Love that these are made with frozen berries so you can have these anytime of the year! 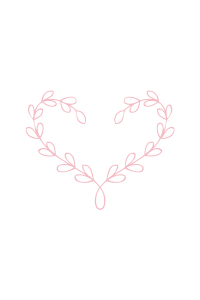 I absolutely love your website and recipes! Please do some research on splenda, as it is an artificial sweetner. Its made in the lab and is very, very harmful for us. It contains aspartame as well as other very harmful ingredients. It is way more harmful then sugar. Agave is the best alternative to sugar, even diabetics can use it without elevating their blood sugar levels. But please look at all the harmful side effects splenda and the rest of the artificial “chemical” sweeteners cause us. Мариночка ты просто умничка!!!! Конфетка!!! Золотые ручки!!! Твои рецептики просто СУПЕР!!! Oh you’re making me blush! Thank you so much Yelena!